While Hitman: Absolution is coming along in many promising ways, the game should hopefully be allowed a generous polish period. 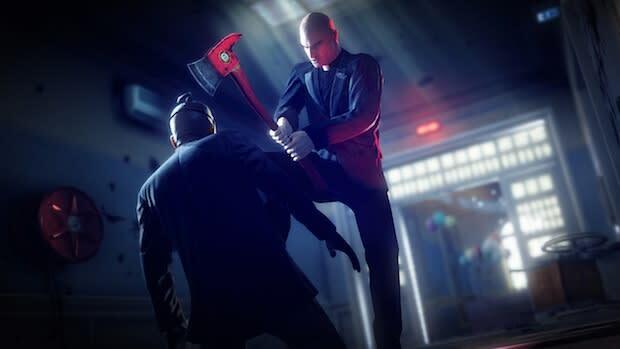 When I asked an IO spokesman about the care that has gone into the production values, he replied that they&apos;re "taking Hitman to the next level." At the risk of sounding entitled, "the next level" is the least of what Hitman fans should to expect from Absolution. There were some AI designs that were more amusing than questionable. You can have a cacophonous shootout against a dozen thugs in one room but still have the opportunity to sneak past henchmen in the next large room, as if the guys in the latter area didn&apos;t notice all the yelling and gunfire. I also noticed that it takes very little time to get 47&apos;s enemy alert status down to &apos;Clear&apos; in very little time, provided he found a hiding place to begin with. It is also of minor note that Hitman: Absolution appears to have an ambitious goal of outclassing House of the Dead: Overkill for the Guinness World Record for the most obscenities in a video game.